Vitamin B7 (Biotin), also known as vitamin H, is water soluble and actually a coenzyme, as opposed to a ‘vitamin’ per se. It is required for many bodily functions. Interestingly, some have found biotin helpful for preventing hair from turning gray. 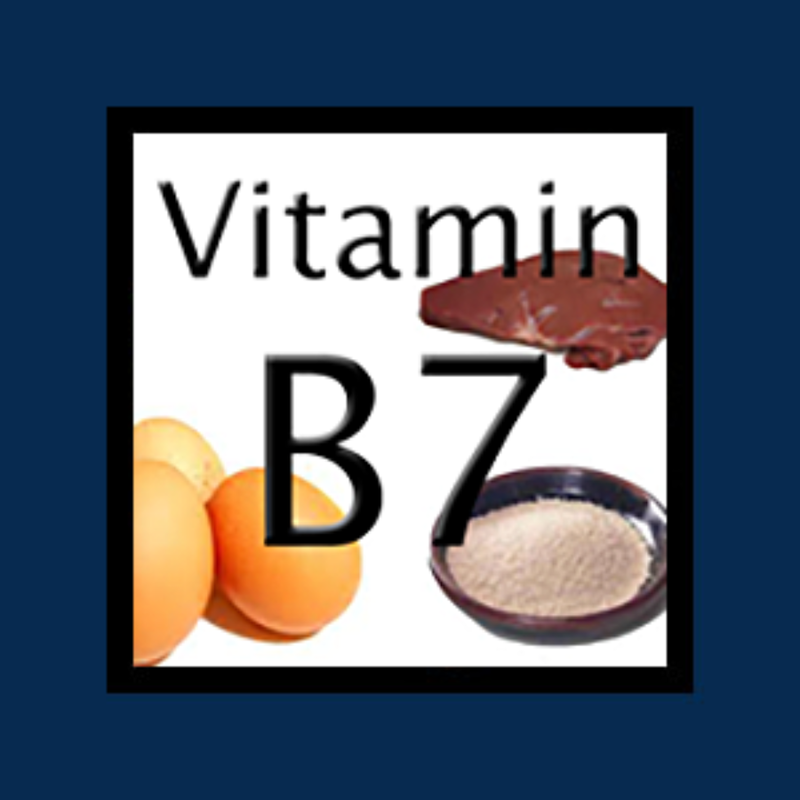 Why do you need Vitamin B7 or H (Biotin)? The prescription version of Biotin was developed with the purpose of making available a pharmaceutical grade potency supplement since vitamins are not regulated and thus there is no assurance of the potency. Many vitamin companies now have a 3rd part assay to certify the contents of a supplement. Supplements from GMP Certified Companies are extremely effective and a fraction of the cost of pharmaceutical grade. The dosage for biotin ranges from as low as 300 mcg to as high as 5 mg – 50 mg.
As a water-soluble vitamin/enzyme, biotin has no known side effects even at high dosages. Any excess that your body does not need will be excreted.